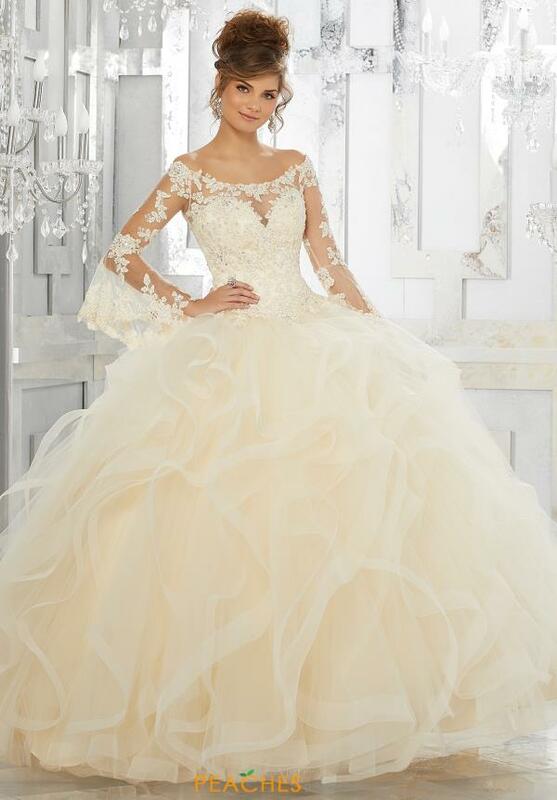 Look like a Victorian princess in this regal Vizcaya ball gown 89153. Featuring a sweetheart cut with a mesh overlay adorned with beautifully detailed lace applique and beading. Showcasing off the shoulder belle sleeves with a stunning lace trim and a corset lace up back closure that will help cinch in your waist. This gown has a full tulle skirt with a horsehair trim in a tiered design with a small sweep train. Shop for more ball gowns like this at Peaches Boutique in Chicago.